When you are running an eCommerce store, you know the value of maintaining quality in all aspects that you deal with. Generating and providing professional invoices to customers is an important aspect of your store’s daily existence. 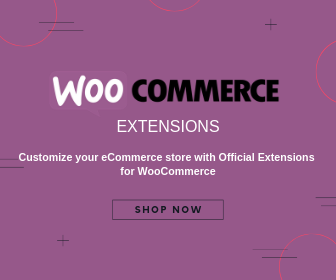 Now, WooCommerce is a great option to maintain an eCommerce store, as its core options help you manage almost everything. And, whatever you can’t manage with the default options, you can either customize, if you are good at coding, or get a plugin. Creating and printing invoices is one such area where you need the help of a plugin to efficiently manage the process. This article will focus on some of the best plugins that would help you with WooCommerce PDF Invoices. You will also get an overview on some of the obvious advantages of maintaining online invoices. 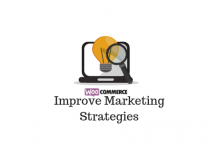 One of the greatest advantages of WooCommerce is its flexibility to extend functionalities according to the user’s need. 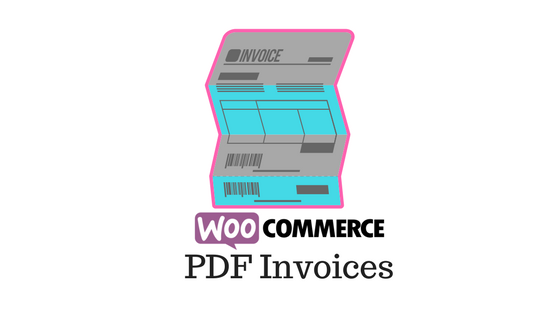 Generating and sending WooCommerce PDF invoices is one area where plugins can really help you. Let’s take a look at some of the best plugins that will help you with WooCommerce PDF Invoices. This WooCommerce extension helps you create PDF invoices automatically and attach it to the mail you send to the customer. You can choose to send the mail when the order status is ‘processing’ or ‘completed’. At the same time, your customers can log in to their account and access the invoices of all their previous purchases. From the back end of the store, you will be able to resend or download the PDF invoice, if required. This is a great plugin to automatically generate and attach PDF invoices to the order completion emails to your customers. One of the major advantages of using an extension for invoices is that you can customize the look and feel of it. Similarly, you can include information relevant to your company, such as tax information, or the logo. You will also find an option to serialize your invoice, which helps with bookkeeping. Additionally, you can customize the format that you use for invoice numbering, and add an invoice column in the order list. Moreover, you can add or remove columns from your invoice template with the help of filters. If you are looking for a decent functionality to deal with PDF invoices, this extension would be of much help. The single site subscription of the plugin is available for $79. A 5-site subscription would cost you $99, and 25-site $199. To print invoices, packing lists and pick lists straight from your WooCommerce admin, you can also try out the WooCommerce Print Invoices & Packing lists plugin. It has options to print documents individually or in bulk. This is another great option that you can try out to deal with multiple eCommerce documents, including invoices. The plugin helps to customize and print invoices, packing slips, delivery notes, and shipping labels. Also, it helps to generate these documents automatically according to the change in order status. The straightforward configuration and extensive options to customize really sets apart this one from its competitors. You can generate and print all the above-mentioned documents individually from the order details page. Similarly, if you want to print them in bulk, you can do so from the order list area on your WooCommerce store admin side. A great feature of this plugin is the customization option. You will be able to customize invoices, packing slips and delivery notes using three standard templates available with the plugin. From the standard template, you can simply enable or disable attributes to be displayed on the document. In addition, using this plugin you can customize invoice number and add the store name or logo to the documents. Similarly, you can include any additional information that you want to display the documents. Furthermore, the plugin offers an option to preview your documents before creating them. If you are looking for a comprehensive solution to generate and print store documents, this plugin might be a great option for you. A single site license of the plugin would cost you $59. 5 site license is available for $89 and 25 site license for $189. If you would like to know more about the working of the plugin, please read our article on the same. This is a popular free plugin that helps you add PDF invoices to your order completion emails automatically. The plugin includes a basic template that you can modify according to your specific requirements. If you prefer to create entirely new templates, the plugin provides options for that too. Additionally, you have the option to print or download invoices and packing slips from the WooCommerce admin area. 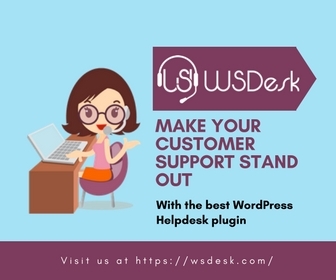 This free plugin is quite popular in the WooCommerce community with its simple configuration and useful features. 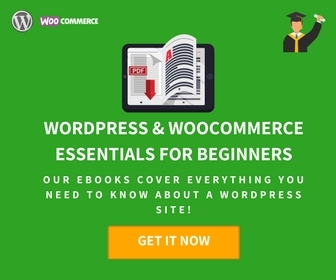 When you are running a WooCommerce store, you may often encounter situations where you need to print documents in bulk. Thankfully, this plugin helps you do that as well, from the order list page on your WooCommerce store admin. Also, the plugin supports custom formatting as well as a sequential pattern for invoice numbering. Furthermore, your customers will be able to download the invoice from their ‘My Account’ section. With more than 100,000 active installs and over 520 five star ratings, this plugin is quite the star in WordPress repository. It can quite effectively serve your requirements at smaller levels, but if you want advanced features, try the premium version. The one differentiating aspect of this plugin is that it helps to connect to Google Drive Egnyte, Dropbox or OneDrive. Otherwise, it provides multiple, highly customizable invoice templates that you can use for your WooCommerce orders. It helps with manual as well as automatic attachment to any type of customer emails that you choose. Additionally, there is an option to mark an invoice as paid. You can follow the numbering of your WooCommerce orders for your invoice numbers, or set up a custom pattern. The plugin helps to connect with your customers through Google Drive, Dropbox, etc. You can customize the invoice according to your liking with this plugin. For example, you can include advanced item tables that have information on refunds, discounts, multiple tax rates, etc. As with the other plugins we discussed, this one also facilitates your customers to download invoice from their ‘My Account’. This one is great for your basic needs, but if you want more advanced options, try the premium version. 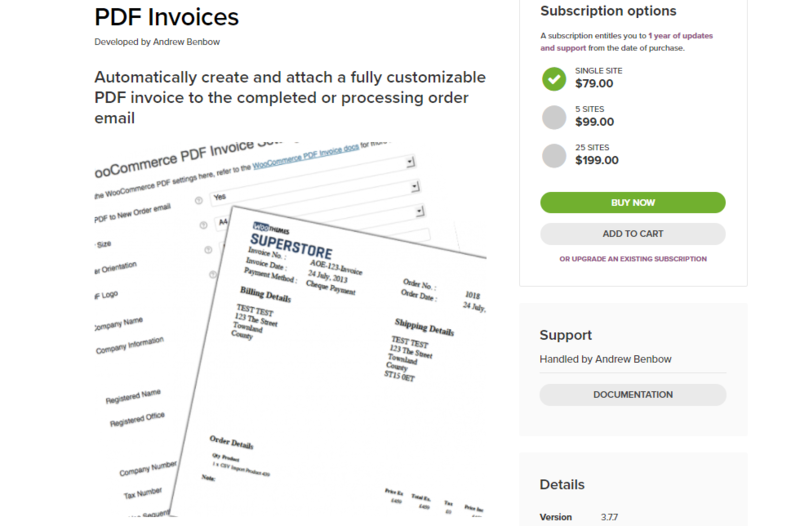 This is yet another good option you can try to deal with your WooCommerce PDF Invoices. You can automatically generate high quality, professional invoices and send them to customers via email or manual download. It also helps you customize the layout and content of these invoices. Also, the plugin makes sure you can create invoices that comply with accounting regulations. This plugin’s powerful customization options allows you to flexibly change fields according to the customer locations. For each new order on your store, you will be able to generate an invoice automatically. On the other hand, you can choose to use the regular feature where you generate invoices when an order is completed. In addition, the plugin provides a simple, easy way to manage invoices on your store with great features to access them. Furthermore, it has powerful customization features that will help you include or exclude tax fields according to the requirements of the countries you are selling to. You can purchase the regular license of the plugin at $39. Invoicing can often prove to be a tedious task for WooCommerce store owners. This YITH plugin strives to simplify the whole process with automatic options to generate invoices. In addition to the regular features you expect of a WooCommerce PDF invoices plugin, this one helps with automatic backups. Every time an invoice is created, you can save a copy on your Dropbox account by syncing it. With automatic backups and great options to customize, this plugin can help you a lot in organizing the back office needs of your WooCommerce store. The plugin has a preview mode that enables you to track any changes you want to make to the document. Some of the additional features of the plugin include options to insert tracking code into the delivery note, and generate credit note for refunds. The single site license of the plugin would cost you $85. Licenses for 6 and 30 sites are available at $129 and $199 respectively. Creating an invoice manually and then sending it to customers is really a harrowing task for WooCommerce store owners. If you save all that time, you can focus on a lot of other aspects of your store. Here is a quick compilation of some of the obvious advantages you find when you use the above-mentioned plugins. You have an option to send the PDF invoice to customers in real time right after a purchase is completed. This adds a lot of flexibility to multiple aspects of your business. Sending invoices manually involves a whole set of procedures that includes recurring emails and such. Once the need for the manual effort is minimal, it reflects the overall efficiency of your store. Moreover, you can handle cases involving recurring payments like subscriptions much more comfortably. Everything happens at a fast pace in eCommerce. So naturally, when customers get hold of the invoice right after the purchase, they are going to be happy about it. The whole flow gives a systematic essence to your dealings and this might easily contribute to repeated purchases. Moreover, if customers have to come after you later to get invoices for their purchases, it creates a bad impression. With numerous options available in almost all eCommerce sectors, maintaining your brand identity is especially important. In the current scenario, chances for a customer to retain your brand identity is pretty bleak. By including logo and other differentiating visual elements on your online invoices, you can work on developing brand identity too. Most of the plugins we discussed above provide great options to customize the content and layout of invoices. When you are choosing to not print an invoice, you are actually saving money and environment. Practically you are saving the courier charges and by avoiding the use of paper, you contribute to the greater cause too. Furthermore, you avoid quite a few customer support tickets as well as possible cases of invoices lost in transit. Again, this is all in accordance with the fact that more customers are choosing online payments. You can effectively avoid delays in payment and repeated follow-ups with customers this way. Like most of the other processes, online invoices help to simplify the stressful aspects of tax auditing as well. With pretty detailed options and ability to customize fields at will, you can ensure a perfect tax compliance. Many of the WooCommerce PDF Invoices plugins provide options to choose multiple fields for tax rates on the invoice. Additionally, this gives more flexibility when you are selling to multiple countries. When you have a system to create PDF invoices, it becomes quite easy to access them anytime. You can find relevant invoices from the order detail page of your eCommerce platform itself very easily. WooCommerce PDF invoices plugins really help in this regard. Most of the time, when your customers want to access invoices from past purchases, they can do that effortlessly. In addition, it makes your financial management more organized, and you can easily challenge any disputes with transparency. Managing your invoices was no easy task when you think of traditional business models. However, with eCommerce becoming more preferred around the world, solutions that support it have also evolved for the better. For example, WooCommerce PDF invoices plugins have made the whole process of generating and sending invoices simple for store owners. A systematic process to handle invoices, coupled with good CRM solutions would really improve customer experience too. Moreover, with great customization options, you can easily work on developing the brand identity for your store. This article might have pointed you to some of the best solutions currently available for WooCommerce PDF invoices. Share with us any suggestions or queries. Very effective and helpful article. But one WooCommerce PDF Invoice plugin called Woo Invoice(PDF Invoice and Packing Slip) is also effective and can be considered as best PDF Invoice plugin for WooCommerce. Hi Mark, Thanks for the information.